"La Ilaha Illa Anta (none has the right to be worshiped but You O Allah),"
"La Ilaha Illa Anta, Glorified (and Exalted) are You, Truly, I have been of the wrong-doers. So We answered his call, and relieved him from the distress." If we mention examples in details, it will take so long to mention what was narrated after the companions and the prophets. 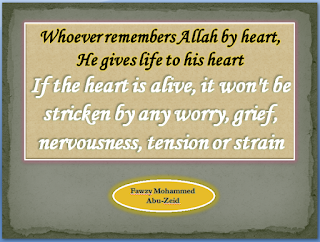 That who remembers Allah by his heart, he gives life to his heart by the remembrance of Allah, if the heart is alive by the remembrance of Allah, it won't be stricken by any worry, grief, nervousness, tension or strain. 1- The book of Tareekh Demashk by Ibn Asaker. 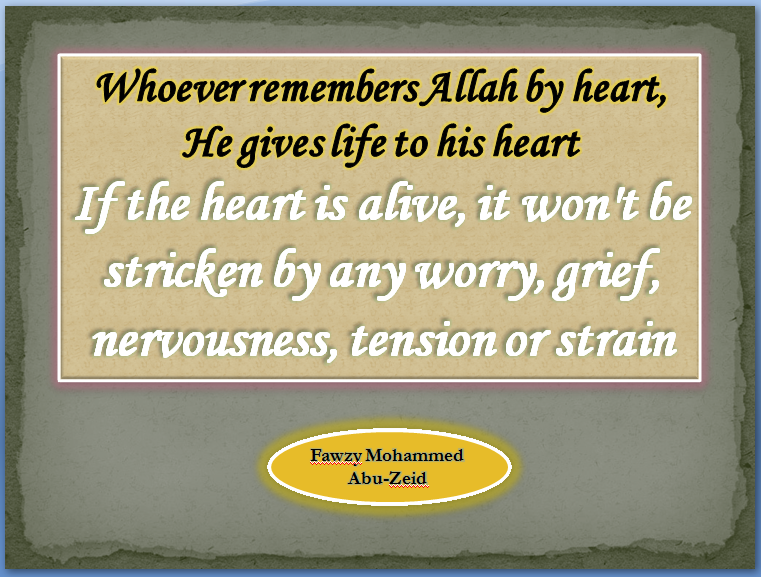 2- Narrated by Ibn Abi-Shayba and At'tabarany by good reference after Mo'az Ibn Jabal.